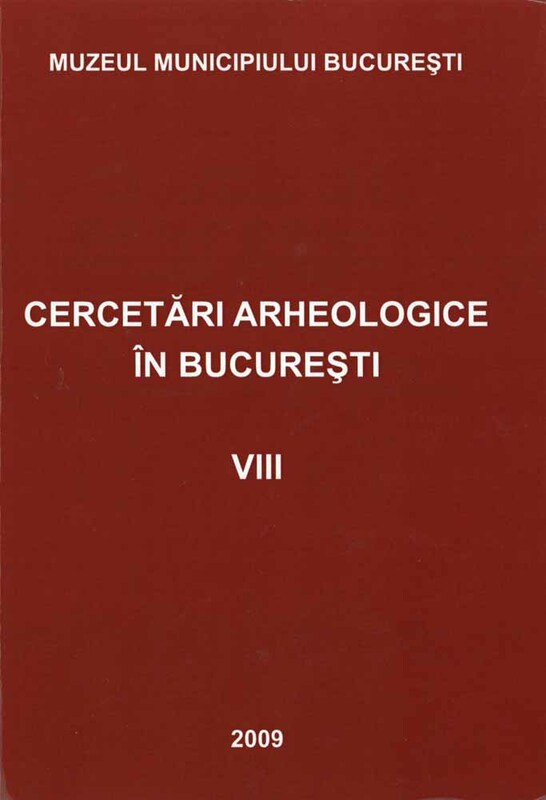 Subiect: The archaeological excavation in 2008 on Pasajul francez street situated between Gabroveni and Covaci streets, allowed identifying several XVIIIth and XIXth buildings. Therefore, 18 trenches of variable size were opened, according to the field findings. Houses Brick structures concentrate in the Northern part of the street belonging to some buildings facing Gabroveni street, with courtyards in the back, confined within walls, stretching all the way to Covaci street. Some 4 overlapped constructions were revealed in a scantily area (8 x 5 m), an indication of building dynamic in the area. The foundations, with an average thickness of 0,60 m. comprise baked bricks, tied together through sandy but strong binder. These buildings did not have any cellar. For only one foundation there were identified two vents, suggesting thus the existence of a cellar. It was destroyed most probably during the construction of Pasajul Francez street in the second half of the XIXth century. In the Southern part, on a length of 6,55m, a massive building was revealed, with a very neat brickwork, developing underneath Covaci street. In the corner caught by the excavation a pillar also emerges, deepening under the foundation level. Partly, the building was also caught during the excavations from the'50s, carried out by D.V. Rosetti, when it was dated to the XVIIth -XVIIIIth centuries and assigned to the Royal Court ensemble. It is doubtless earlier then the XIXth century, for it isn't registered in any plan of Bucharest. Walls of property demarcation South from house 1 and 2, roughly to the middle of the street and North from house 3, some remains of three walls for property demarcation emerged. Drainage facility Towards the centre of the street, a rectangular structure (420 x 2.70 m) was discovered. On the Southern and Northern sides, below the contemporary level of the building, two openings of 0,41 m width and 0,71 m height, emerged. The elevation of the foundation couldn’t 't be estimated, but it exceeds the limit of the digging by about 3,30m from the current pavement. We might be dealing with a drainage facility build at the same time with the street in the second half of the XIXth century. Graves Three inhumation graves were also found, at a depth of 1,42 m (M 1) and 2.20-2.40 m ( M2. M3) from the actual level of the pavement. The individuals were deposited in normal anatomical] position, all of them having West (skull) - East orientation. In M 1 the deceased had the left hand on the pelvis and the right hand stretched along the body. Funerary inventory is very poor, but a bronze hook which was found in the best preserved grave (M 1). The graves can be dated based on stratigraphy and assigned to the XVIIIth century.